This morning I’m making pumpkin bread, ostensibly for my son who’s home with a cold, but mostly because I want to fill the house with the aroma of ginger, cloves, and nutmeg. Comfort. Care. Sweet. Of late, the home has smelled of sick dog and not-so-homemade meals. The smells of exhaustion. 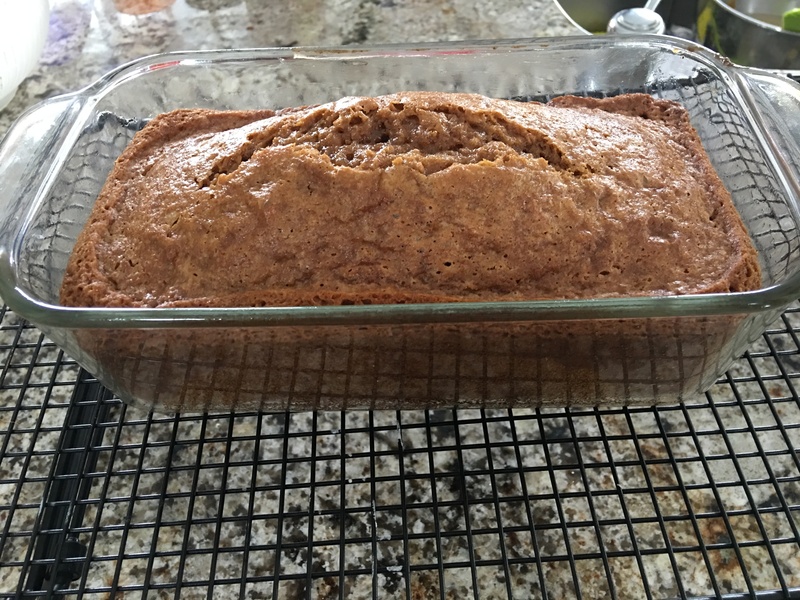 The pumpkin bread recipe has different baking times for different loaf pan sizes. 8×4 or 9×5. Not quite here, not quite there. Close enough. That’s how I feel these days, in this place, at this time. Maybe, in many ways, I always have. It’s a not-entirely-comfortable feeling. No one wants to feel out-of-place. Out-of-step. I feel slightly out-of-step. Slightly mis-sized. Needing a little finagling to mingle with the other, uh, loaf pans. A different shelf or a little twisting here and there. On my counter right now is a beautiful, perfectly baked, aromatic loaf of pumpkin bread. Due to the irregular size, it needed more observing, more tending, more awareness than other loaves…more wiggle room and patience than allowed for in the suggested time ranges. It took more than the 52-57 minutes. It took adjusting the oven. It took years of experience to know by sight and smell when it was close to done, and by the quality of crumb on the toothpick that it was. There’s a lesson there that I choose to apply to myself on these days when the light is fleeting and the year fades into promises for the future. On these days when we hear no and why and you’ve got to be kidding me, on the days when self-care — the soulful kind, not the chocolate kind — is needed, on the days when the fight for rights and beliefs and humanity seems ever needy and urgent…on these days it’s ok to find the metaphor wherever we can. Even if the metaphor is that there will always be crumbs.